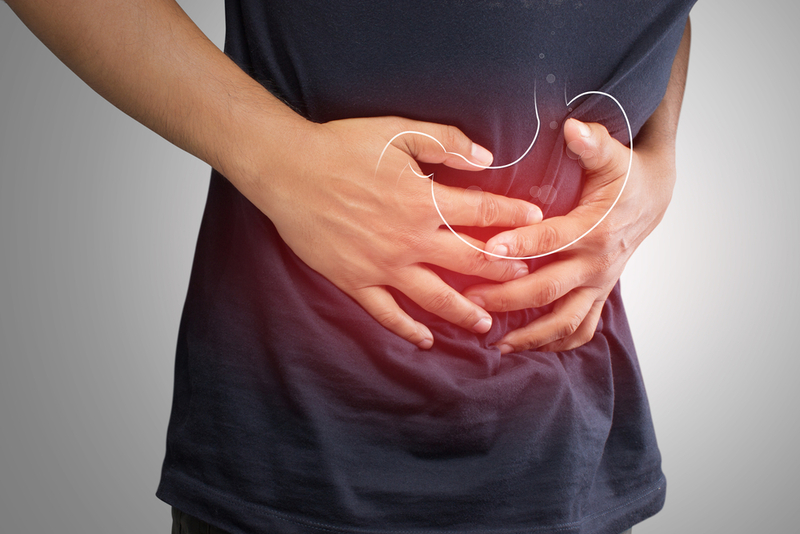 Gastroparesis, also called delayed gastric emptying, is a condition that slows or stops the movement of food from your stomach to your small intestine. Diabetes is the most common known cause of gastroparesis, but the condition may also occur following certain surgeries or for unknown reasons. Symptoms of gastroparesis can include nausea, vomiting, bloating and abdominal pain. What you eat and don’t eat can play a large role in managing those symptoms. This article explains the causes of gastroparesis, how to manage your symptoms with nutrition and provides a sample meal plan of a gastroparesis diet. Gastroparesis is a condition in affects the motility of your stomach. Normally, your stomach produces strong, muscular contractions that propels food through your digestive tract. With gastroparesis, however, that normal movement of food is slowed or stopped, causing nausea, vomiting, early satiety and abdominal pain (1). Doctors may use several tests to diagnose gastroparesis and rule out conditions that have similar symptoms. These tests involve measuring how quickly a meal leaves your stomach or visually examining your digestive tract with a tiny camera on the end of a long, flexible tube, called an endoscope (1). The nausea, vomiting and stomach pain that’s associated with eating in people with gastroparesis can severely limit food intake. Consequently, this can lead to poor nutritional status and — when severe enough — malnutrition. For example, one survey found that more than 300 people with gastroparesis were consuming only 58% of their estimated calorie needs and deficient in several vitamins and minerals (3). Because gastroparesis slows or stops food from moving through the digestive tract, current diet recommendations focus on optimizing stomach emptying time (4). Consume 4-6 small, frequent meals throughout the day. Consume more liquid calories or blenderized solid meals. Chew foods well before swallowing. Do not lie down for 3-4 hours after eating. Limit foods high in fat and fiber, as these foods slow digestion. If severe enough and food intake is poor, enteral nutrition, or tube feeding, may be needed. With gastroparesis it’s recommended to limit foods that are high in fat, as they delay the emptying of your stomach. Foods that contain less than three grams of fat per serving are considered low-fat. Fats in liquid form, however, do not seem to slow digestion and may be better tolerated. Like fat, fiber also slows digestion so you should also limit high-fiber foods such as fruits, vegetables, nuts, seeds, legumes and whole grains. Look for foods that contain less than two grams of fiber per serving. Grains: White bread, white rice, saltine crackers, pretzels or graham crackers. Proteins: Poultry, fish and egg whites. Dairy: If tolerated, choose reduced-fat (2%) milk, yogurt, puddings and custards, sherbet, low-fat ice cream and whey protein supplements. Fruits and vegetables: Canned, soft and well-cooked fruits and vegetables without seeds such as applesauce, mashed banana, diced peaches, cooked carrots and mashed potatoes. Fats and oil: When possible choose oils rather than fats such as olive or canola oil. Grains: Whole-grain breads, pasta or rice. Proteins: Fried meats, sausage, bacon, steak, roast beef or pork chops. Dairy: Cheese slices, whole-milk, full-fat yogurt or ice-cream. Fruits and vegetables: Berries, dried fruit, fruit skin, and raw or undercooked vegetables. Fats and oils: Fried foods, solid fats like butter or peanut butter. In addition to these foods, limit carbonated beverages, alcohol and spicy foods. Gastroparesis is the delayed emptying of food from your stomach. It’s often caused by diabetes, certain surgeries or occurs from an unknown cause. The slow or nonexistent movement of food through your digestive tract cased by gastroparesis can lead to many symptoms that can negatively impact your food intake. Fortunately, nutrition plays an important role in reducing or eliminating the symptoms of gastroparesis.